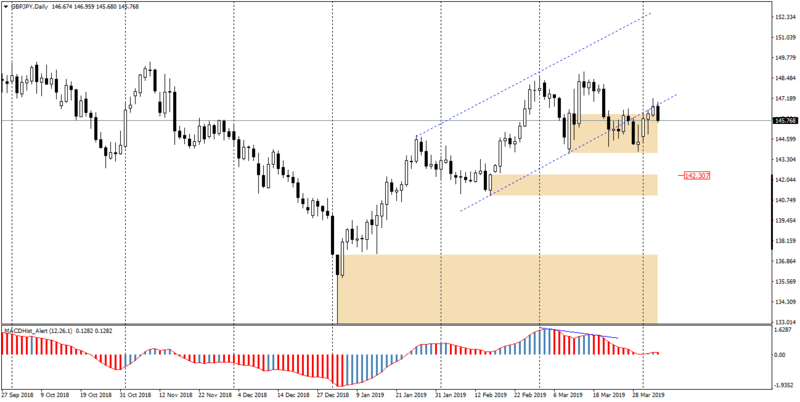 Since the beginning of the year, GBPJPY has been moving in a growth channel with a range of over 550p. 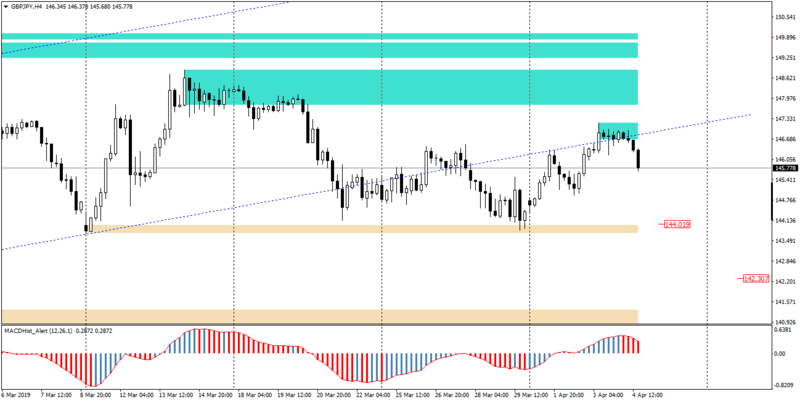 The channel’s support in the last week of March was defeated, but quotations were returning several times over to beat it again.Today (04.04) the price has once again found itself under this support. 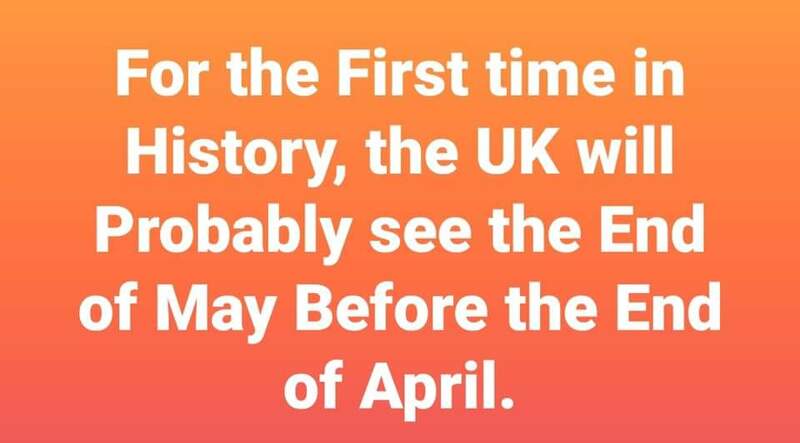 These hesitant consolidation movements are the result of events in the UK parliament, where there are more and more contradictory news on how to leave the UK. On chart H4 it is clear that today’s price has fallen by 80p. If this trend continues, the nearest bear’s target may be a round 145.00 and possibly another 144.00. The outcome of today’s debate and vote in the House of Lords, on which the House of Commons’ decisions will depend if they become a law, will have a major impact on further quotations.